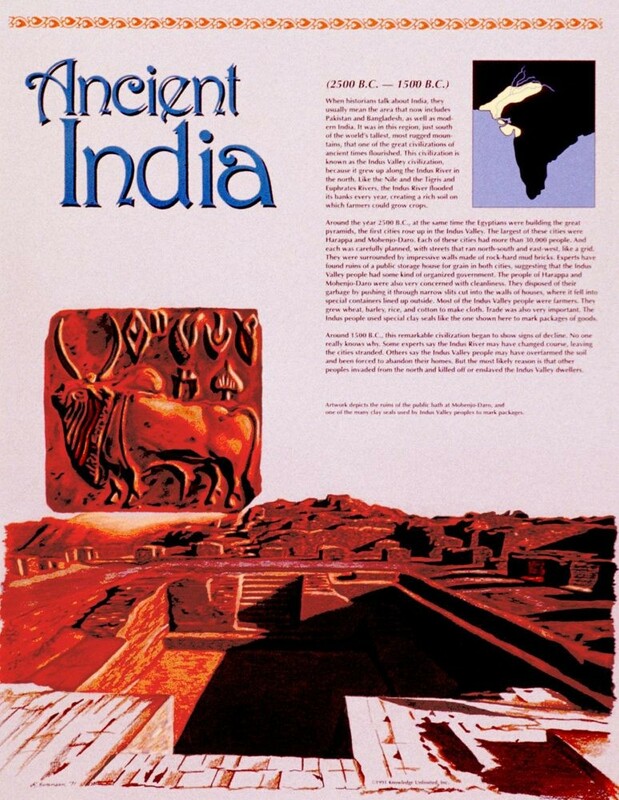 This educational poster about Ancient India features artistic renderings of the public bath at Mohenjo-Daro, as well as one of many clay seals used by Indus Valley peoples. it also contains a concise and well-explained background history of the civilization, and a small map showing where it was centered. 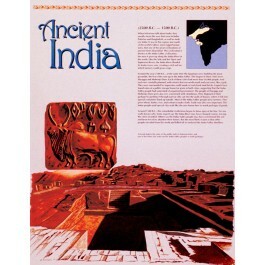 Ancient India comprised what is today modern India, Pakistan, and Bangladesh. It was in this area that one of the greatest civilizations of ancient times flourished from 2500 B.C to 1500 B.C. The people built carefully planned cities, impressive walls, and rudimentary garbage disposal systems.